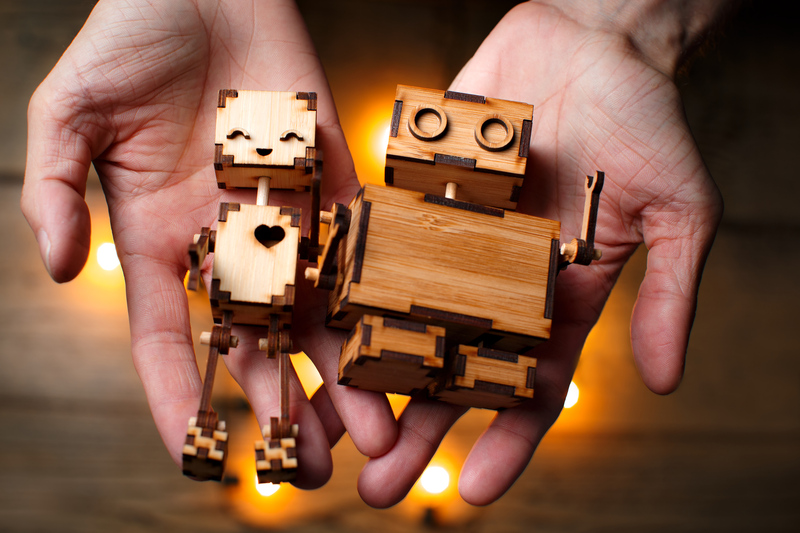 Helper Bot, Dancemaster and <3 were born in Greensboro. They are the quirky cute creations of 29-year-old Charles Wade. 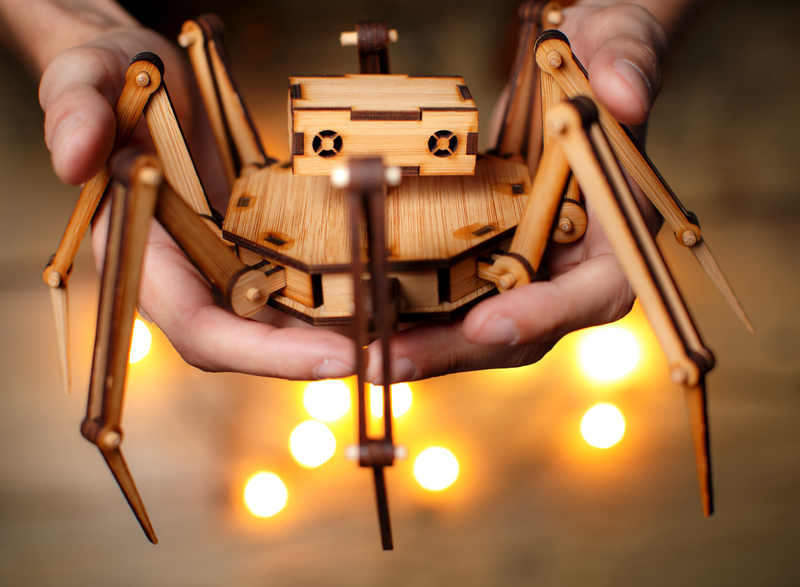 Charles uses his computer and a laser to design the robot toys from sheets of bamboo. He has turned this hobby into a business, called RoboMustache, with the help of the Triad Startup Lab, a program that helps entrepreneurs grow their businesses. He’s built an entire toy robot universe for his brand, including a backstory about a robot named RoboMustache who helps Charles create the rest of the robots. 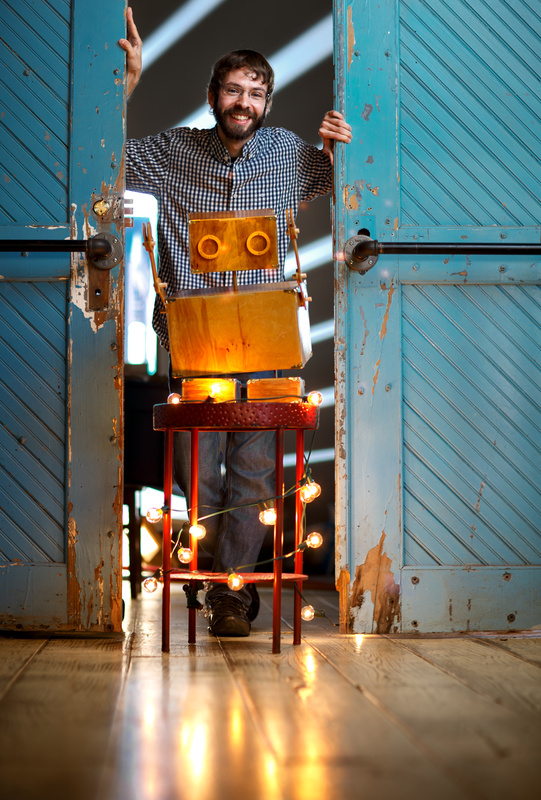 ‘The idea was to make it goofy, to relate to the goofy and light-hearted robots,” Charles says. Charles plans to sell kits that allow others to put together the same robots. He wants others to be able to use their imaginations in order to create their own world with the robots. He’s been traveling around to maker faires this year, and launched a Kickstarter campaign soon this month. “I want to be able to inspire others,” Charles says.